This is a double feature. Two films are on one disc. Extras include commentary for each film. Des explorateurs à la recherche de la légendaire "flame de la vie" sont capturés par la cruelle She alors qu'ils étaient en train de traverser un glacier. Comme pour le précédent coffret, le Coffret Ozu Volume II réuni de grands classiques en noir et blanc ainsi que des documentaires exceptionnels, de nouvelles "figures", un nouveau livret de 32 pages et inclu en exclusivité les vestiges d'un film perdu : "J'ai été diplômé, mais..." Contient : choeur de tokyo, Auberge à Tokyo, Eté Précoce, Hoût du riz au Thé Vert, Printemps Précoce, J'ai vécu mais. Un homme part dans la jungle africaine afin de stopper les agissements d'un scientifique fou qui créé des tempêtes partout dans le monde. Dans l’Angleterre du XIXème siècle, Becky, une jeune orpheline aux origines modestes rêve de grandeur. Femme érudite refusant le statut que lui confère sa naissance, elle utilisera tous ses talents pour être acceptée au sein de la haute société britannique. When British actor Robert Donat dropped out of Warner Bros. Captain Blood, the studio took a chance on its new contractee, Tasmania-born Errol Flynn. Adapted from the novel by Rafael Sabatini, the film is set during the oppressive reign of King James II. Irish physician Peter Blood (Errol Flynn), arrested for treating a wounded anti-crown rebel, is condemned to slavery in Jamaica. Here he earns several privileges after treating the governor (George Hassell) for gout; this does not rest well with Lionel Atwill, the wicked owner of the plantation on which Blood is forced to work. Nor is Atwill pleased with the growing relationship between his niece Arabella (Olivia DeHavilland) and the imprisoned doctor. An attack on Jamaica by Spanish pirates gives Blood and his fellow slaves the opportunity to become buccaneers themselves. After several months of fighting and plunder, Blood's men capture a merchant ship bearing Arabella. Blood fights a duel with a French pirate (Basil Rathbone) over the girl; having "won" her, Blood intends to have his way with her, but his more decent instincts prevail. When King James is overthrown by William of Orange, Blood is given a commission and lauded as a hero as a reward for his bravery against the Spanish galleons. He is appointed governor of Jamaica, wins the hand of the lovely Arabella, and genially forces Atwill to eat crow. This seemingly outsized swashbuckler was actually a very economical production, using stock footage from several silent films. Captain Blood transformed the 26-year-old Errol Flynn into a star; he's a little clumsy in the dialogue department at times, but cuts a dashing figure in the action scenes. The film also represented the cinematic debut of composer Erich Wolfgang Korngold, who wasn't completely happy with his hastily written score and asked that his on-screen credit be diminished to "musical director". 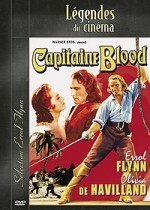 Long available only in its 99 minute re-issue version, Captain Blood has been restored to its full, glorious 119 minute length. n Condemned to Live, Ralph Morgan stars as Professor Paul Kriston, the kindly and generous doctor of a tiny European village. So well-liked is Kriston that the beautiful Marguerite Mane (Maxine Doyle) is willing to marry him, even though she loves another man, young David (Russell Gleason). Things take a sinister turn when a series of murders occur in the village, apparently committed by a vampiric beast. David makes himself quite unpopular when he suggests that the killer may be a human being. Meanwhile, Professor Kriston turns to an old family friend, Dr. Anders Bizet (Pedro de Cordoba), for a possible solution to the murder spree, but Bizet is strangely secretive. 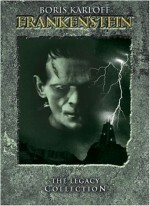 Condemned to Live was filmed on standing sets at Universal City and on location at Bronson Canyon.